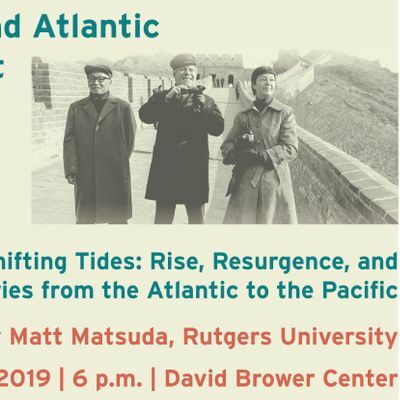 This keynote lecture with Matt Matsuda, Professor of History and Academic Dean New Brunswick Honors College, Rutgers University, is the opening event to the symposium "Entangling the Pacific and Atlantic Worlds. 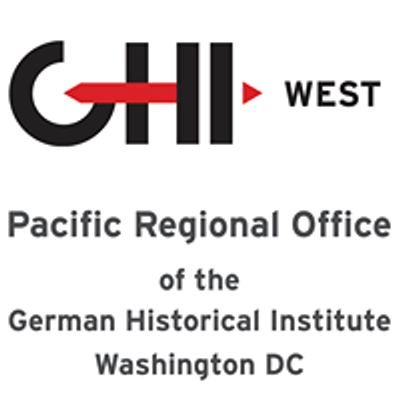 Past and Present", which is organized by the German Historical Institute Washington and ZEIT-Stiftung Ebelin und Gerd Bucerius in cooperation with the Institute of European Studies and the Institute of East Asian Studies at the University of California, Berkeley. Much contemporary geopolitical thought is built upon a presumed shift of power and influence from Europe and the Atlantic to Asia and the Pacific, framed in contested alliance with the Americas. What does this mean when placed into the centuries-long histories of these regions? From ancient voyaging and archipelagic cultures, to imperial and military struggles, to economic and environmental challenges, we will survey the clashes and confluences that have defined a changing world across treasure fleets, copra colonies, liberation movements, and cyber-societies. The symposium is commemorating Helmut Schmidt, who served as Chancellor of the Federal Republic of Germany (West Germany) from 1974 to 1982. Helmut Schmidt was a pioneer among Western political leaders in recognizing this transformation and, in particular, China’s economic and political rise. The German chancellor strove for a respectful dialogue and a partnership of equals at a time when the world was still divided into “communist” and “capitalist” camps. Building on Schmidt’s reflections about the remaking of the global order, this symposium will analyze the unfolding situation and its historical background. Scholars, policy experts, and journalists will discuss the changing relationship between the Atlantic and Pacific regions, and the growing complexity of a world with multiple and competing poles. Please visit our website to view the complete program of the symposium.